Attending a neighborhood garage sale or popping into a local thrift store can leave a lot to be desired. After sifting through copious amounts of old clothing, dented furniture, chipped ceramics, and strange art, one is often left feeling that the presented merchandise is worthless. But if you are lucky enough, you may just find a diamond in the rough at your next yard sale. In May 2015, Christie’s Auction House, NY made history by selling the single most expensive piece of art sold at auction. The price tag of this one of a kind Picasso was just over $179 million. Picasso began painting this series, A through O, in 1954. Version O is now owned by an anonymous phone bidder. An anonymous buyer purchased this 1905 Tiffany Peacock Mirror from Hurley, Arizona. The mirror was brought on to the Antiques Roadshow to be appraised in 2010. This Art Noveau style piece includes leaded and reflective glass, and is stamped with the iconic “Tiffany Studios New York” logo. PBS’s Antiques Roadshow appraiser, Arlie Sulka, appraised the piece at $25,000, which is 12,500 times what the buyer originally paid for it. Montreal native, Warren Hill, purchased this vinyl Velvet Underground album for 75-cents from a New York City sidewalk sale in 2002. Hill, a record buff, was excited at the mere prospect of enjoying the classic album. Unbeknownst to him, this piece of vinyl was a rare EP demo that the group cut for Columbia Records in April 1966; the only known copy of that recording session. Hill posted the album on eBay and the auction ended with a bid of $25,000, which is over 33,000 times what Hill originally paid. Sean and Rikki McEvoy purchased this West Point sweater from a thrift store for 58 cents. The couple would have never imagined that the original owner of this sweater was none other than the football coaching legend, Vince Lombardi. After seeing a documentary about Coach Lombardi, Rikki saw there was a ‘Lombardi’ nametag stitched into the sweater, the couple began to wonder if there was truly a connection. The Heritage Auction House in Dallas, TX was able to confirm the authenticity of the sweater by examining the types of fabrics used, as well as the different methods of stitching used. The auction house appraised the sweater at about $20,000. The sweater went to auction in February of 2015 in New York City, and sold for $43,020. The auction price is almost 75,000 times what the McEvoys paid. This 2,500-year-old bronze cat bust originated in Egypt. Despite the immense history behind this figure, it was almost thrown away forever after a yard sale in Cornwall, southern England. The cat was left over after the sale concluded, and the owners of this cat threw away the figure, believing it had little to no value. Luckily, someone retrieved this artifact dating back to 500-700 B.C. out of the trash, and had the authenticity verified by an Egyptian expert at The British Museum. This rare figure was auctioned in London in February of 2015. It was believed to sell for around $20,000. However, a ‘prominent London dealer’ purchased the Egyptian piece for $80,000. This Frankenstein movie poster from the original 1931 movie was all but forgotten about, until it was discovered in the early 1970’s in the projection booth of a remolded theatre. Frankenstein memorabilia can be popular with many collectors, and when an item this old resurfaces, prices escalate quickly. It was estimated that this original poster would sell for $100,000-$200,000. But the Heritage Auction House in Dallas, TX sold the poster for $358,500. The online auction, held in March of 2015, had 12 active bidders and over 8,900 page views. Congress ordered William J. 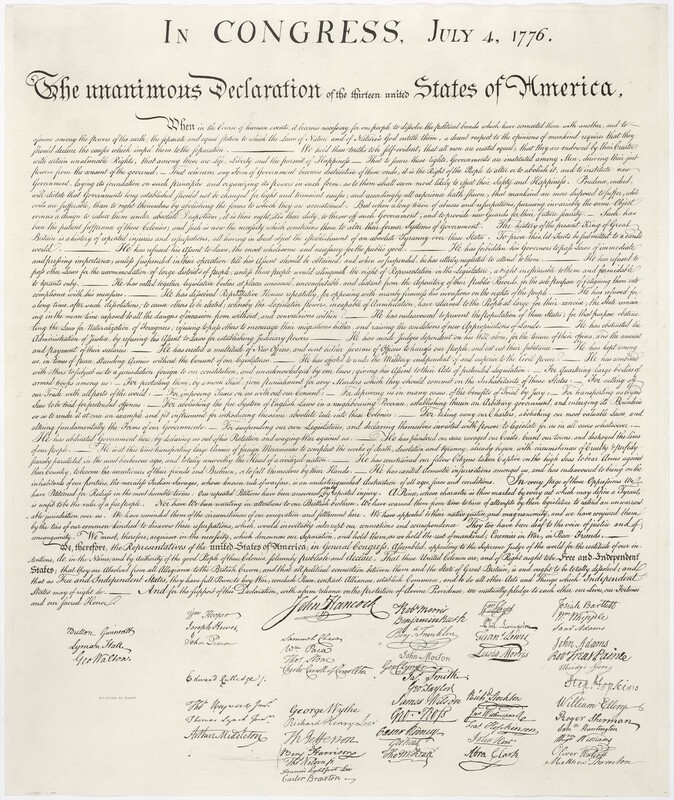 Stone to create 200 reproductions of the Declaration of Independence back in 1820. It was believed that only 35 of those 200 reproductions were in existence to date. Michael Sparks, a Tennessee man, found the 36th reproduction. Sparks was shopping at a garage sale when he purchased salt and pepper shakers, along with the document for $2.48. After examining what he believed to be a cheap reprint copy, Sparks began to realize that the engraving was far too intricate for a mass-produced copy. He confirmed his suspicions after searching online. Sparks discovered that he was the proud owner of one of Stone’s Declarations. It was validated that his version was the 36th copy in existence, which he sold at auction for $477,650, or a mere 192,600 times the original price. Claire Wiegand-Beckmann, a retired New Jersey teacher, purchased this table in 1998 for $25 at a yard sale. The 18th century card table made by Boston furniture maker, John Seymour & Son, seemed simply like a run of the mill antique to Wiegand-Backmann. In fact, the table sat in her home for 30 years before it was appraised on the PBS show, Antiques Roadshow. The television show appraised the table at $200,000 to $300,000. Once the table went up for auction at Sotheby’s, the bids came pouring in. The final bid for this table was $541,500, or 21,660 times her original investment. Andy Fields, a British businessman, purchased what he believed to be a child’s drawing at a yard sale in 2010, in Las Vegas. Fields was correct that a child rendered the drawing, however, he never imagined that the child artist was world famous. 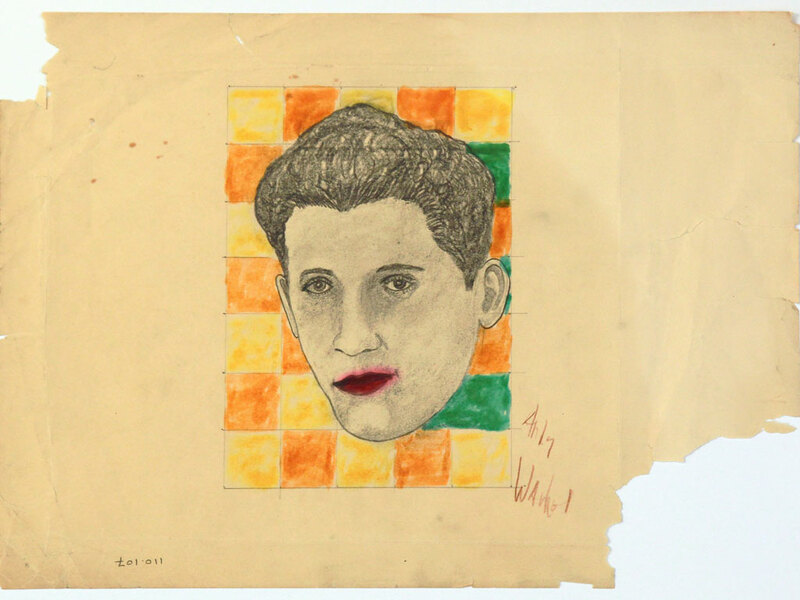 The artist of this drawing was none other than pop-art pioneer, Andy Warhol. Warhol sketched the drawing when he was around 10 years old, and was on bed rest, suffering from cholera. The picture depicts the 1930’s singer, Rudy Vallee. This early piece of Warhol art has been appraised at a value of roughly $2 million. 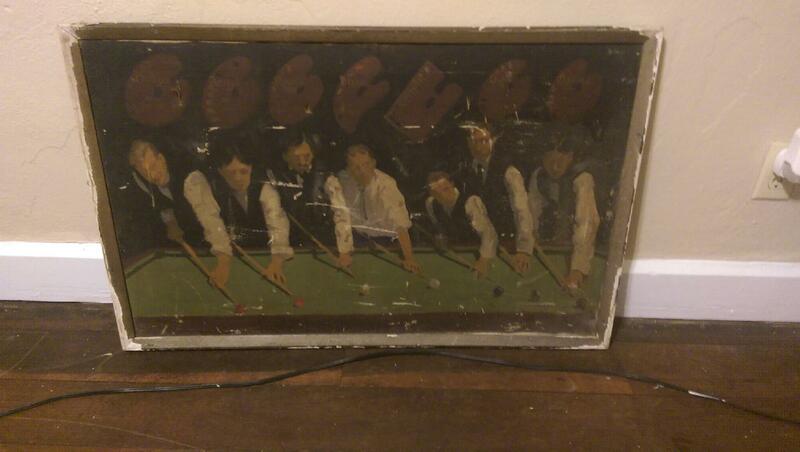 However, Fields is still the owner of the piece, and is unsure of whether or not he will sell it. If he does sell the drawing at $2 million, his investment will have increased 400,000 times. A New York family purchased this white bowl for $3 at a garage sale in 2007. The family could have never imagined that this 5-½-inch piece of china could be worth millions. After six years, the family had the bowl appraised. They learned that it originated from China’s Northern Song Dynasty, and was worth $200,000-$300,000. In March of 2013, the family put the bowl up for auction at Sotheby’s, where the winning bid was from Giuseppe Eskenazi, a British art dealer. The bowl sold for $2.2 million dollars, or over 733,333 times their investment. This intricately carved four-post bed was dumped in the hotel parking lot of the former Redland House Hotel in Hough Green, Chester, England, when builders were renovating the property. Ian Coulson purchased the bed for £2,200, in 2010. Coulson, a four-post bed specialist, spotted the item when it was listed on the Internet. Once the bed was in his hands, he approached a TV historian, Jonathan Foyle, with the suspicion that there was greater significance to the bed. 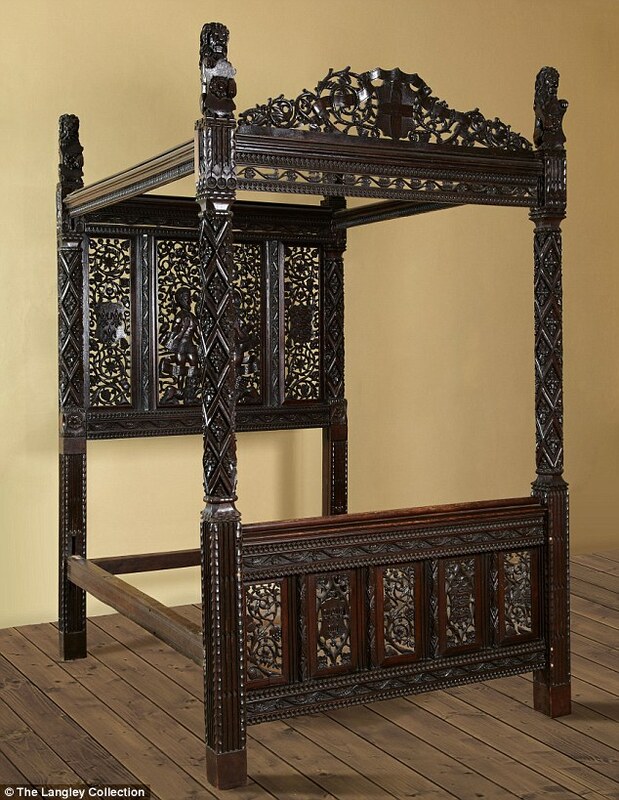 Foyle confirmed that this four-post bed was the only surviving Tudor bed. This was proven when DNA testing of the timber revealed that the bed in fact belonged to King Henry VII, back in 1486. The bed was estimated to be worth over £20 Million. The bed will remain on display in the Long Gallery at Hever Castle in Kent until November 22, 2015. Share your love of Vintage in our Antique and Vintage Club!